History tells us that stagnant cadastral systems can be improved with the proper motivation. Three such times were largely attributable to the genius of an agricultural economist named Wolf Ladejinsky. After World War II, Ladejinsky helped legally connect Japanese farmers to the areas they tended by recording their land and property and getting them into the legal system. Many Japanese citizens didn’t have their land possessions in writing and therefore weren’t protected under law. To do this, Ladejinsky incentivized citizens to record their property by promising to protect their land rights. 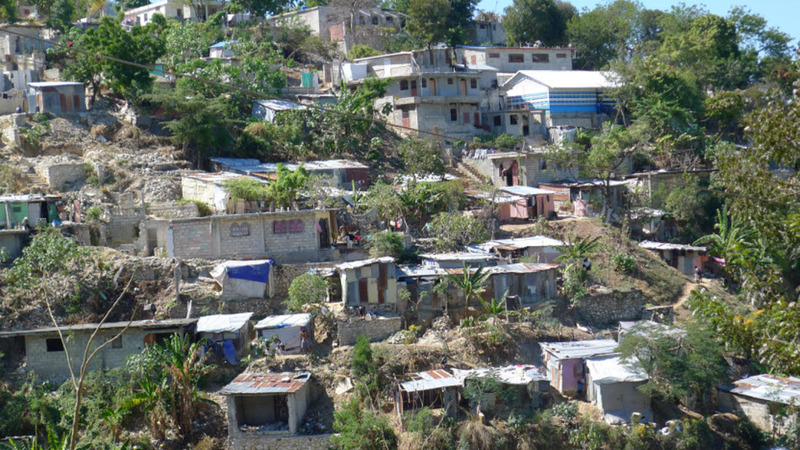 In the developing world, structures often go up without being recorded and tied to the legal system. Ladejinsky’s intervention tied the population to its land and property, which enabled Japan to access more of its capital and ensured agrarian productivity. This is known as Japan’s “post-war economic miracle.” The country established credit supported by a base of living assets. Ladejinsky also helped Taiwan and South Korea follow the same migration model to become major players in global trade. Today, Taiwan has the 18th largest GDP per capita while South Korea ranks 27th. All three land systems were improved within a decade because Ladejinsky cut through the red tape to get land and property into the legal system quickly. In contrast, it can take more than 10 years to record an undocumented property in developing nations. In Egypt and many other countries, the built world grows without the commensurate growth in records. Over three decades, many of the buildings designed to assist Egypt’s poor have grown from predominately single-story buildings to—in some cases—nine-story structures. Many of the owners of these structures illegally add stories to them, circumventing recordation altogether. This is part of what economists call “the shadow economy.” It’s estimated today that only 8% of all land in Egypt has the proper documentation to generate tax revenue and grow national credit. While this figure seems discouraging, consider that 92% of land is just waiting to be legitimized—properly recorded and folded into a modern cadastral system to generate much-needed collateral. There’s a great worldwide push to introduce a more accelerated model that increases national revenues legitimately. Key to that transition is standardization enabled by the cloud. Ladejinksy’s job would have been easier if he had a global standard to organize and communicate land data. A few years ago, the Dutch land agency Kadaster International developed such a standard in the form of The Land Administration Domain Model (LADM). LADM standardizes language on land rights, restrictions, and responsibilities with full consideration of all types of land tenure. This, in turn, enables the use of those records in all legal systems. Esri partnered with Kadaster International to implement this standard in ArcGIS Online, which is freely available here on GitHub. This has been successfully piloted in Kenya and Colombia. 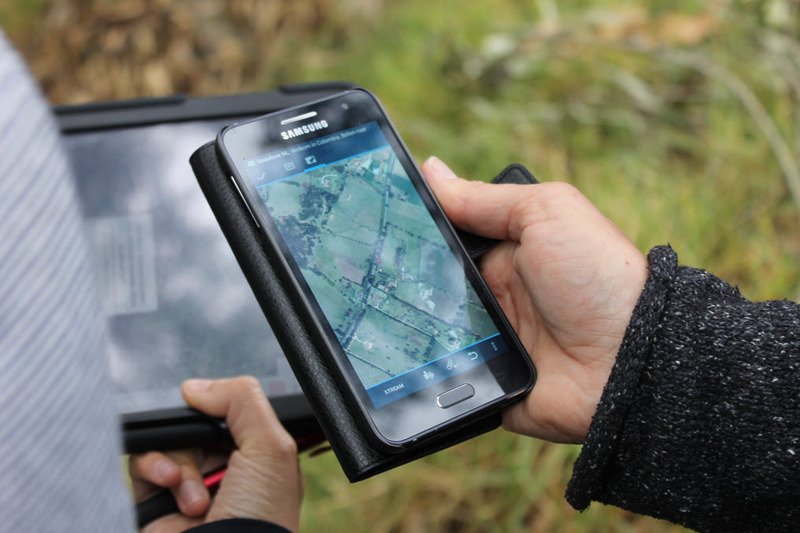 Mobile GIS apps connect to the cloud, enabling nations to quickly record property and land ownership. In addition to being standardized, cadastral systems also need to be scalable. Many projects that have been executed with custom-developed software fail because they were essentially “one-offs,” not bona-fide secure systems designed to scale. When the funding for those projects dried up, the projects predictably died. Sustained, successful systems need to have local capacity (as land rights are often only recognized locally) and use technology platforms that are simple, accessible, and easily maintained. Android phones are lightweight, cheap, and perfect to conduct quick land reform. The apps connect to the cloud where maps and land data can be immediately accessed in the field. They connect to high-accuracy GPS. Collected data goes directly into the system and is securely transmitted to agencies. If Ladejinksy were to start today, I’m convinced he’d see GIS as the platform to begin folding the world’s disenfranchised tenants into the legal system. Informed by what we learned from post-WWII rebuilding efforts, mobile GIS can propel developing economies into a sustainable future. Let’s get started today.